The Krewe of Alla was formed November 19, 1932 as an all-male organization, and was originally sponsored by the West Side Carnival and Social Club, Inc. 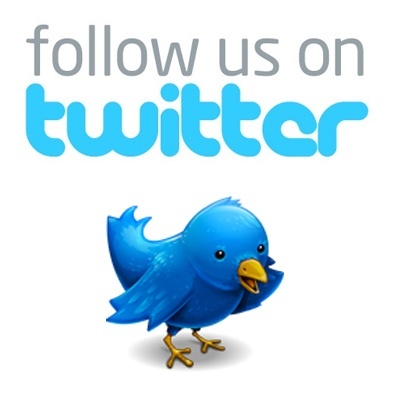 The group was reorganized July 26, 1977 as the Golden Gryphon Society, Inc. In 2014, the Krewe moved its parade from the West Bank to the Uptown New Orleans route on St. Charles Avenue. Alla began accepting women as members in 2013 and now is officially a co-ed Krewe. The Krewe of Alla is known for their bright floats, multiple bands and marching groups, and generous throws! 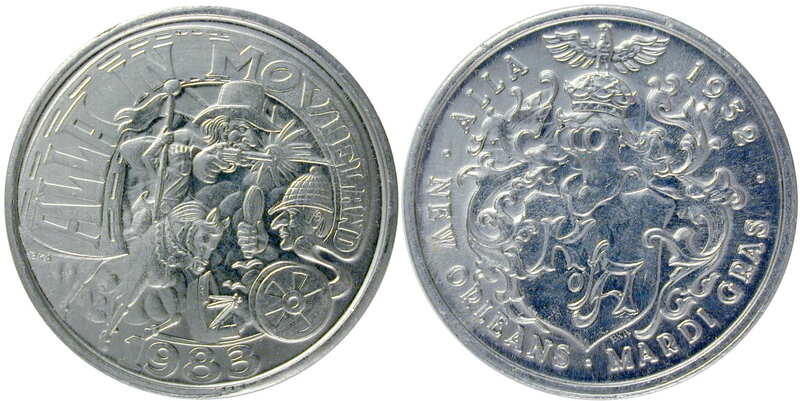 For the 1983 festivities, the Krewe’s theme was Alla In Movieland, Sherlock Holmes is part of the design for the theme. A total of 7 different items were issued for Alla in 1983 – 4 different color aluminum doubloons, medals in bronze and silver, and a multi-color medal. There are also some possible varieties as well. 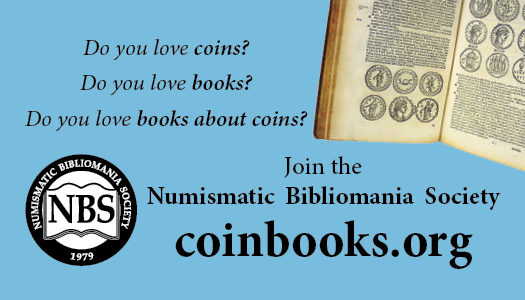 All doubloons should have the initials BKA at the base of the Alla seal. There are known examples of the gold, purple and silver colored doubloons that are missing these initials. There are reports of silver colored doubloons having a cracked reverse die, but have not been verified at this time. It would be interesting to see if the other three colored doubloons also have examples with a cracked reverse die or the missing BKA initials, or BOTH! Have two Alla in Movieland dubloons, 1983, depicting Sherlock Holmes. One in gold, one purple. Neither have BKA under the Krewe crest. But they BOTH have BKA on the reverse left side under the “A” in Alla. I believe the “wagon wheel” under Holmes is a movie reel scrolling out film to become the Alla in Movieland title.